I just noticed that there are no photographs on this home page – that doesn’t happen very often, so here is a recent photograph. 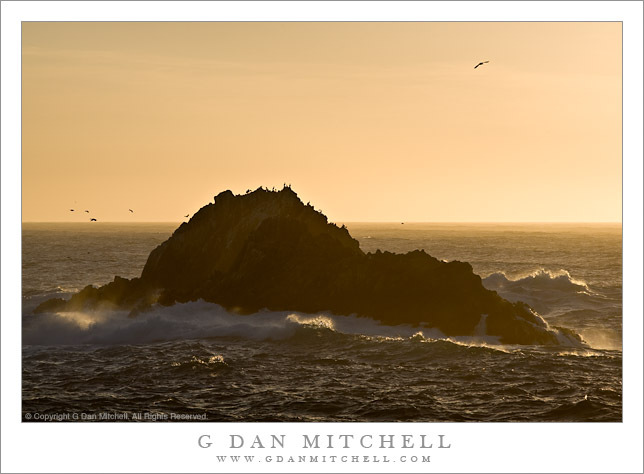 Bird Rock and Winter Surf, Dusk. Point Lobos State Reserve, California. December 30, 2007. © Copyright G Dan Mitchell.